There are different ways to make money on the YouTube channel. Google AdSense is one of the efficient ways to actually to make money on YouTube. The only thing the YouTubers have to do is to sign up for Google AdSense and follow some strategies to increase the YouTube AdSense Revenue. One of the best ideas to earn money online is to publish YouTube videos. The original publisher gets the payment based on the views. With the introduction of high-quality cameras in smartphones, it is now easy to shoot a video, upload it to YouTube and to share it. A decade ago only seven percent people used upload online content but now it has increased to seventy-seven percent. YouTube portal is visited by hundred crores of people in a month. For those who upload content in YouTube, revenue comes from digital advertisements. YouTube is adding new tools to make the portal more attractive and also introducing new ways for the publishers to earn money. People who upload YouTube content want to earn some money. There are few ways which can help increase YouTube Adsense revenue. How AdSense works on YouTube? What must YouTubers know about YouTube AdSense Account? 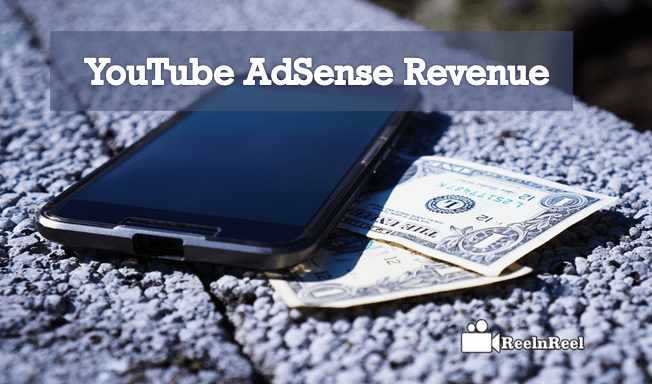 What Factors Increase YouTube AdSense Revenue? When a viewer clicks on the video which is on the YouTube channel or the video, the YouTuber gets paid by Google from the money they receive as charge paid by the company or individual behind the advertisement. Though this is a tiny share when there is a lot of viewers for the channel, and these engage with the ads, the more money the YouTuber can make. It is essential to increase the fan base and engage with the audience. The more the audience, the more the engagement and the more the revenue for the YouTuber. Many numbers of channels can link to a single AdSense account. It is common that sometimes YouTube channels suspended, but this will not affect the monetisation of other AdSense linked channels. AdSense earnings are calculated once in a month. When the earning of a YouTube channel reach $10 on the AdSense account, a PIN verification is sent to the physical address to verify the YouTube AdSense account. Payment from AdSense is received when the finalised earnings/balance is at least the minimum, the address o the YouTuber if verified and the payment method is set up. There might be the difference between finalised AdSense earnings and the estimated earnings because of many factors. Check the banking details before submitting them. Choose one of the associated bank accounts as the primary payment method. Several factors determine how much money one can make from YouTube AdSense. These include the country from where the channel is receiving views, the type of content uploaded to the channel and the average watch-time for each video and so on. Pay rate also determined by the kinds of ads that the channel audiences are interacting with. YouTube AdSense revenue can be affected by various factors. There are however some tips and strategies that can help increase the revenue. YouTubers must ensure that their content is advertiser-friendly. The content should be original and appropriate thumbnails should be used for all the videos. Check the best time to upload videos to YouTube channel. The chances of getting ads from low budget advertisers increased when videos uploaded early morning. More subscribers will watch the videos in the morning, and the video will get more clicks. YouTube AdSense revenue can increase by using affiliate marketing. It is not necessary that affiliate marketing can only use with product review videos. The YouTuber can provide links to the products they are using such as camera, mic, portable tripod, etc. These details can offer in the description of the videos. High CPC keywords must add to the title, description, and tags of the video. There is high chance to get more ads on the video if top competition keywords used. Make sure that the videos you are creating are of high quality and some value to the audience. Upload videos regularly. Have a schedule for uploading the videos. Regular uploads help to build an audience. Create customized thumbnails for videos. Improving the rank in search engines also enhances the YouTube Adsense ads. Research for high ranking keywords in the niche and include them in the titles, descriptions, and tags. The more and the better the keywords, the more will be the traffic, and better ads will be showing on the video which increases the Adsense revenue. Do not display any ads within the video as this can lead to conflicts of interests with the advertisers who choose your video to show their ads. YouTube AdSense earning does not build on costly equipment but with the fanbase. Encourage fans to comment on the videos. Respond to positive or negative comments. Ask subscribers for their valuable suggestions and ideas for future videos. They will start feeling like they are part of the channel and will come back to the channel. Embed videos on social sites, blog posts, etc. to get more likes, comments, and shares. • Try building your video library. Regular uploads will help increase the traffic and lead to increased Adsense revenue. Follow a schedule for uploading the videos. • The description of the video must explain what can expect from the video. The description must be interesting and should be able to generate curiosity for the audience to watch the video. • Using the correct keywords and tags is important to get more traffic and more Adsense revenue. • Let the audience comment on the video and also allow them to share it easily. Being interactive with the audience make them come back again and again. • Do not forget to post your YouTube video link on your Facebook Page, Google+ or Twitter. It increases hits and helps in increasing revenue. • Concentrate on the length of the video. People check the length of the video and decide whether they have the time and patience to watch the video fully. Until and unless the video is interesting and enjoyable the audience may not watch it if it is very lengthy. How difficult to get more View for the YouTube Channel similarly it is difficult to get or increase the YouTube AdSense Revenue. This is an Ultimate Guide to know the Factors, Stratagies to increase the YouTube AdSense revenue.